How sweet is that! 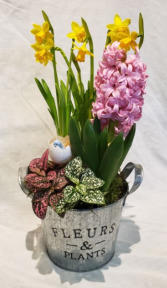 Just the perfect little gift to show you care. 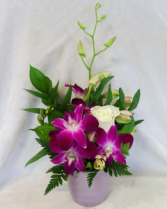 Designed in a 3" lavender ceramic pot with long lasting orchids. Wish you could catch up over a cup of tea? 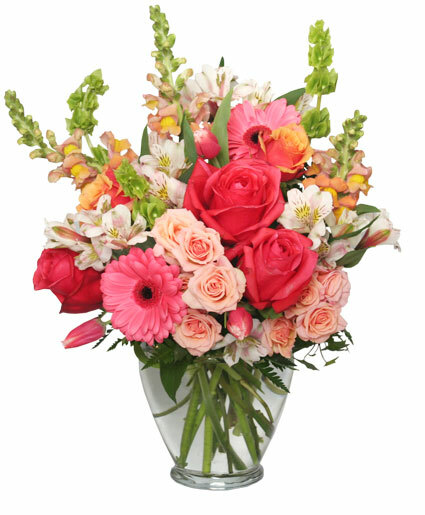 Let her know just how much you miss her with this little arrangement of fresh flowers in a very special tea cup - each design is unique. 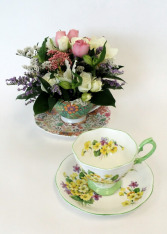 We've collected Royal Albert, Noritake, Waterford, and many other fine china tea cups just for this occasion!